It was supposed to be another Sportydad’s sporting event that night; to watch the replay of the 2012-2013 NBA opening games. With a blockbuster schedule featuring the defending champs Miami Heat vs. archival Boston Celtics in the East and the Dwight Howard-Steve Nash reinforced LA Lakers against Nowitzki-less Dallas Mavericks in the West, I was in for an exciting night. So I thought. Apparently, basketball proved no match to our Spanish gastronomic date at Tapella that same evening. 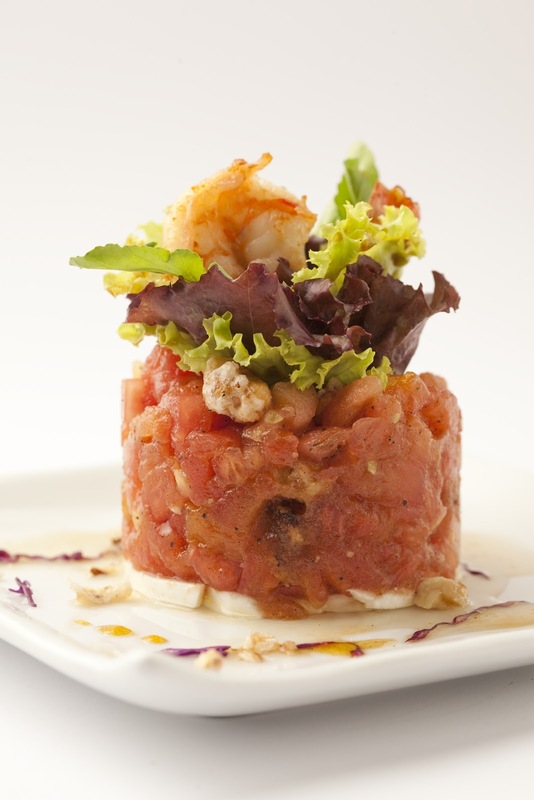 A trip to Tapella brings you down Spain’s rich gastronomic experience and culture. In style, “ ala executive class”. 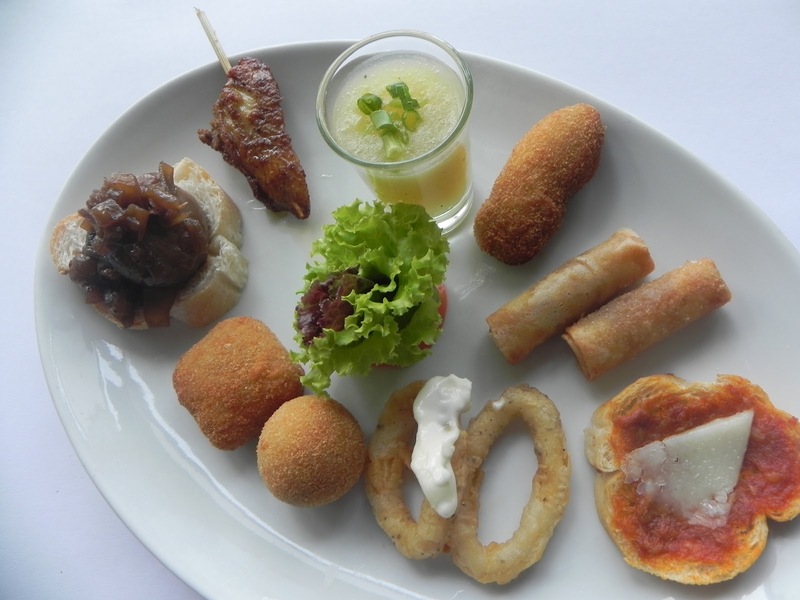 Each menu relates you to a region, south or north, central or coastal, by way of the ingredients and style of cooking. Last time we were here months ago, we were taken to a trip down sunny Spain, with original Spanish cuisine from Andalucia, Catalan, Basque, and Castilian regions only an expert Spanish Senorita can do, Chef Alexandra Cacho. This time, 14 new sets of menu were unveiled where each serving seemed a mystery but eventually would draw our “ ahhs and ohhs”. It started with our welcome drinks, where Chef Xandra dutifully taught us how to make our own Sangria, Tapella’s bestseller. Brandy first, then liquor, topped by red wine. Put ice cubes to moderate the taste and finally fill your glass with Sprite or Seven-up along with bits of fruits, preferably apples and/or lemon/oranges and voila, you now have your Sangria. Nice lesson for a social drinker like me. In due time and more practice, I think I could perfect my own Sangria concoction. Then, we sampled their new dishes. 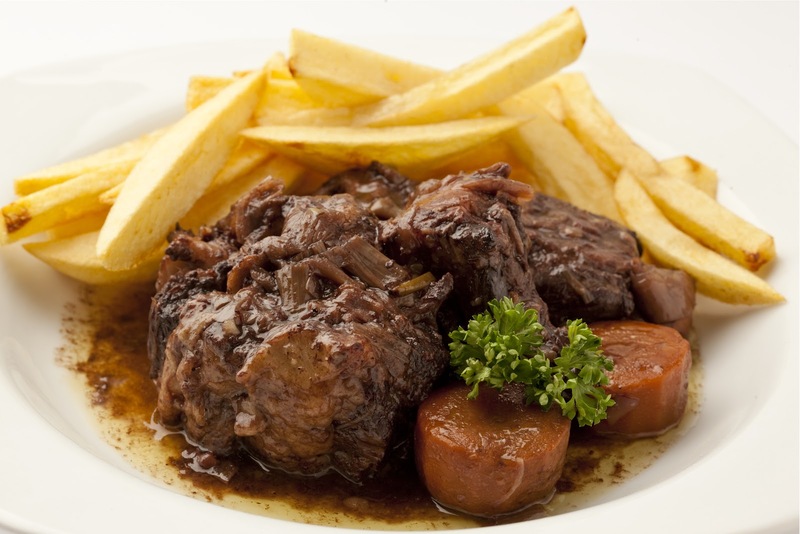 A dish of slow cooked imported ox tail served with fries and carrots. I love its medium rare quality of the succulent meat. Personally, I seem to have a natural liking to Spanish food. After all, our Ilonggo cuisine have strong Spanish influence, from delicacy bread and pastries to such popular dish as “Paella” whose variation we call ‘Arroz de Valenciana” Credit that to the many Spanish Senoritos and Senoritas, hacienderos, entrepreneurs and businessmen who came and lived in Iloilo and Negros. 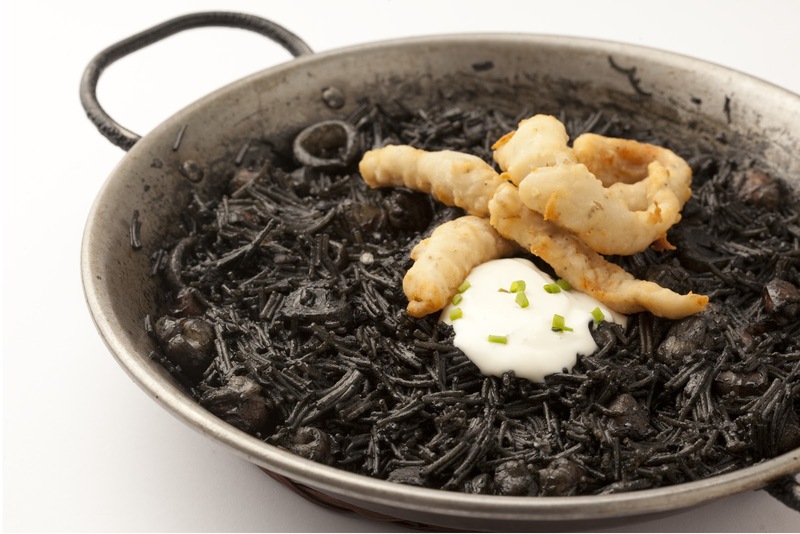 This dish is a black squid pasta using fine wheat noodle pasta cooked with lemon and added with bite-sized squids and shrimps. It is topped with aioli sprinkled with chives, along with cream dory coated with batter. 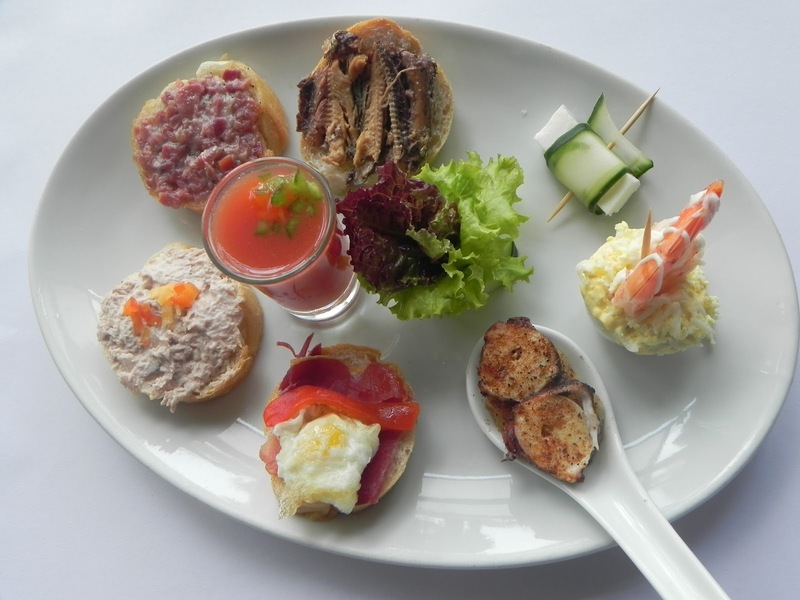 The experience reminds you of the gastronomic delights of Catalonia. Bring your family and friends to Tapella at Greenbelt 5, Ground Level, Ayala Center, Makati City for a delightful and classy experience on authentic Spanish food, relaxing ambience, a hospitable guest relations. Get to meet a very engaging host, Chef Xandra Cacho who is happy to explain the origin of the cuisine and reveal her culinary secrets, some of it anyway, towards authentic Spanish cuisine.